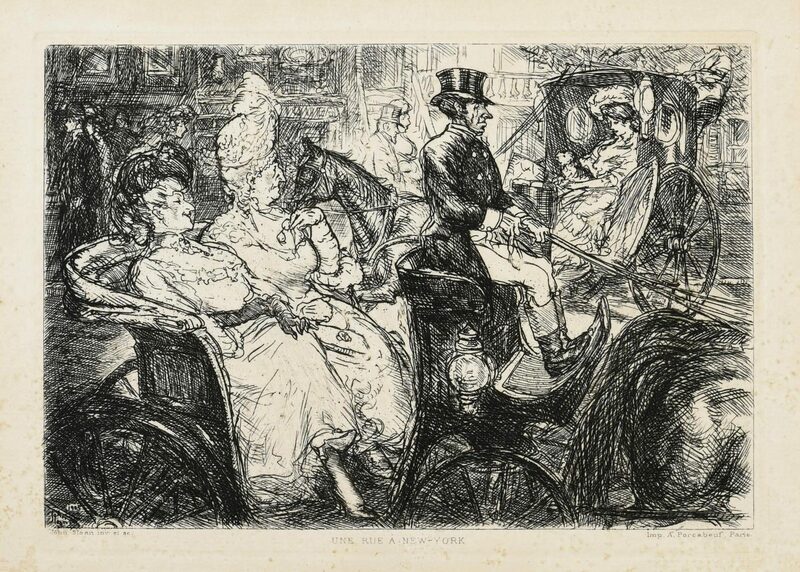 1st item: John French Sloan (New York/New Mexico/New Hampshire, 1871-1951) etching titled "Fifth Avenue Critics (Une Rue a New York)". 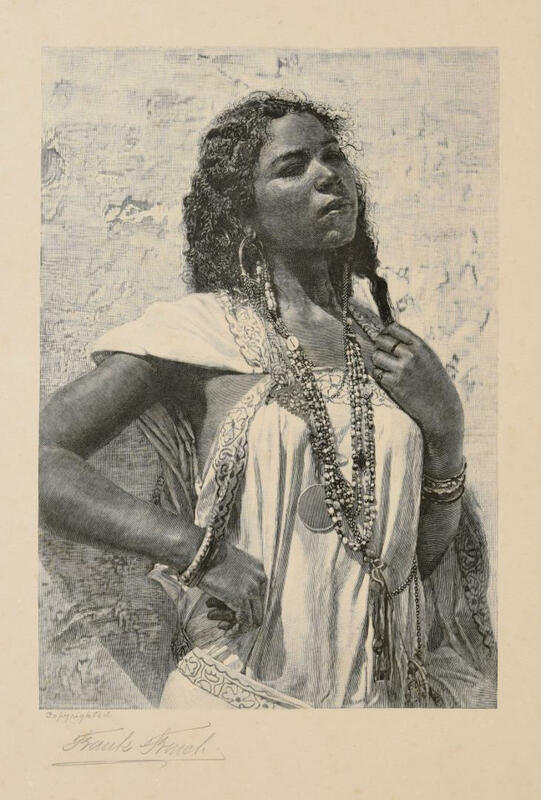 Signed and dated 1905 in the plate lower left. Plate – 4-3/4" H x 6-3/4" W. Sight – 5-1/2" H x 7-1/2" W. Framed – 12" H x 13-3/8" W. 2nd item: Frank Pierce French (New York/New Hampshire, 1850-1933) lithograph titled "Photo from Life, African Woman". 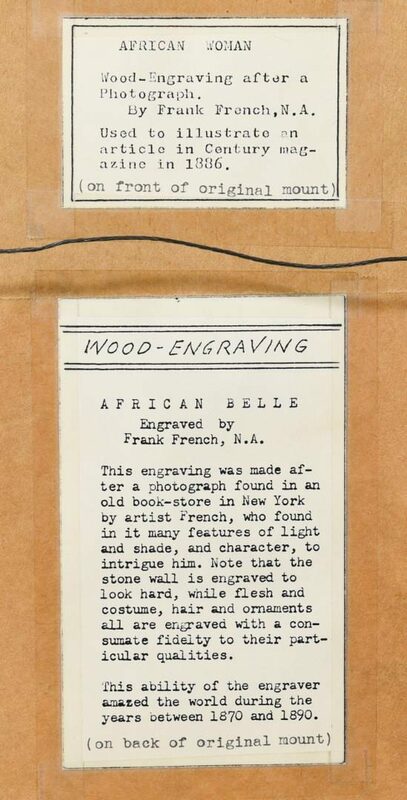 Pencil signed and inscribed lower left "Copyrighted, Frank French". 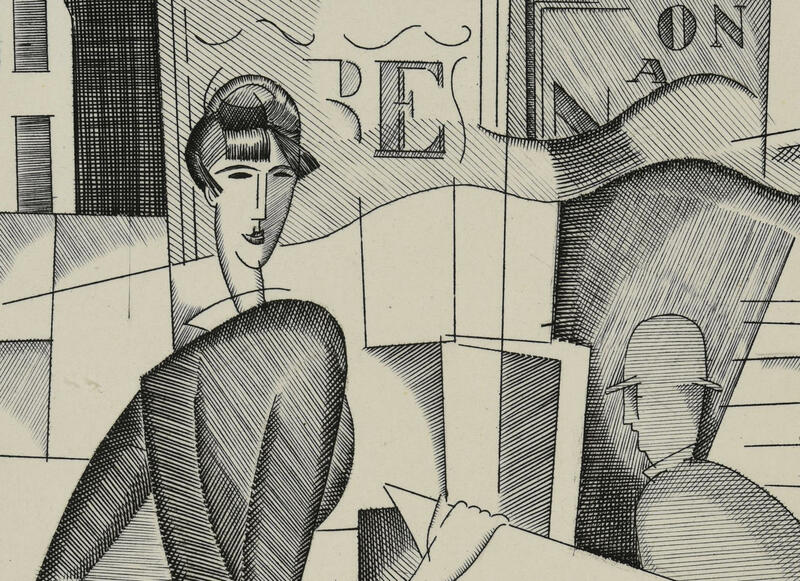 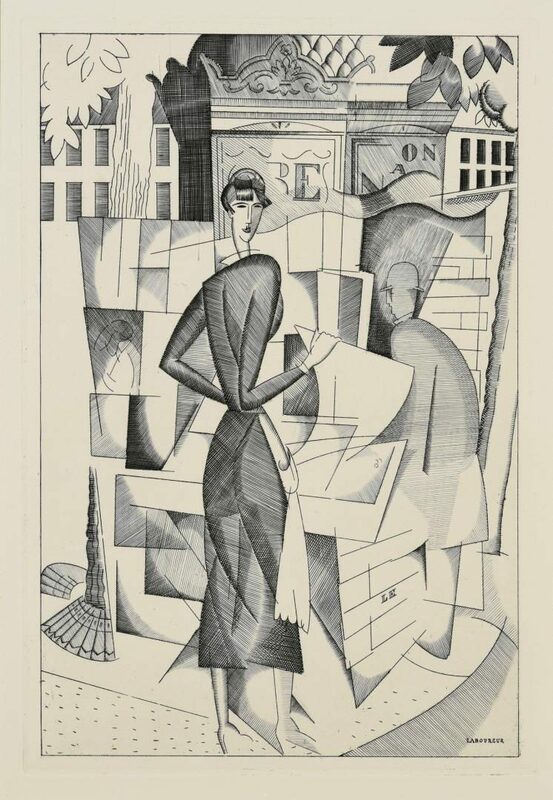 Sight – 9-5/8" H x 6-3/4" W. Framed – 14" H x 11" W. 3rd item: Jean Emile Laboureur (France, 1877-1943) etching titled "The Newspaper Stand". 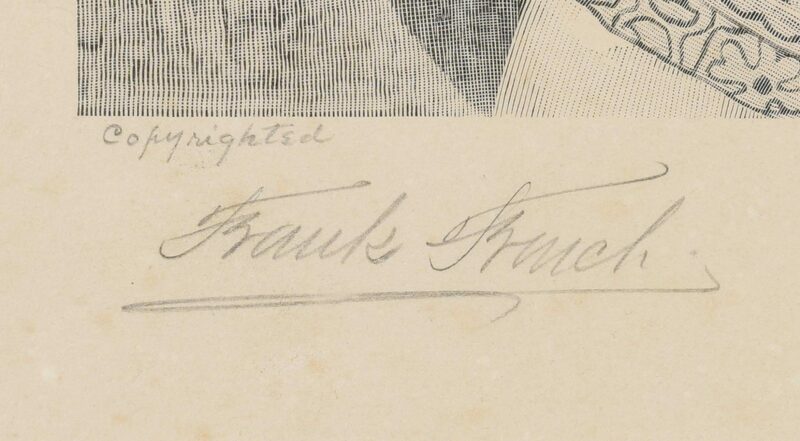 Signed in the plate lower right. 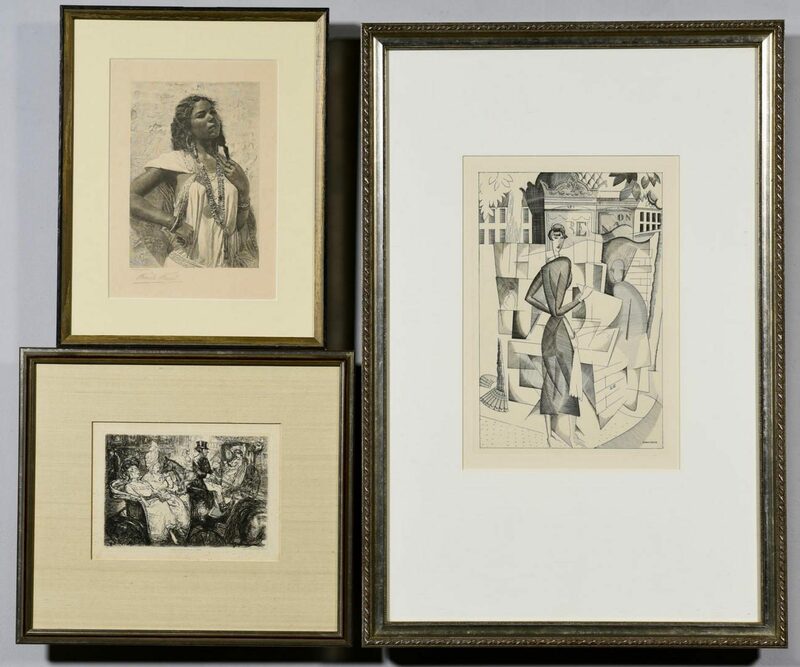 Plate – 11-5/8" H x 7-5/8" W. Sight – 12-5/8" H x 8-5/8" W. Framed – 25-1/4" H x 17" W. CONDITION: 1st and 3rd items: Overall very good condition. 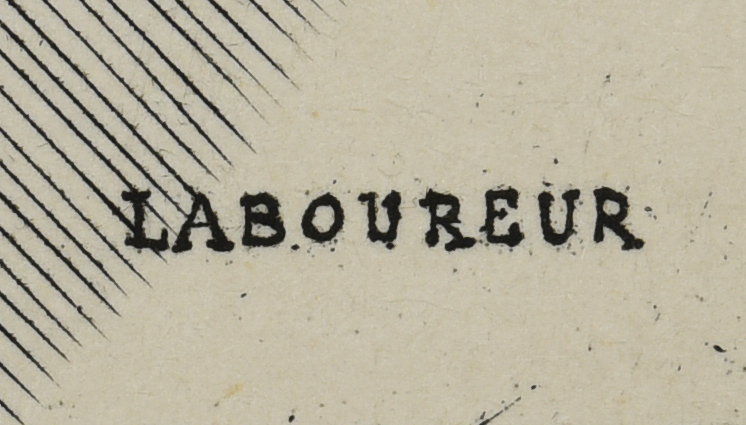 2nd item: Some toning and spotting to paper.